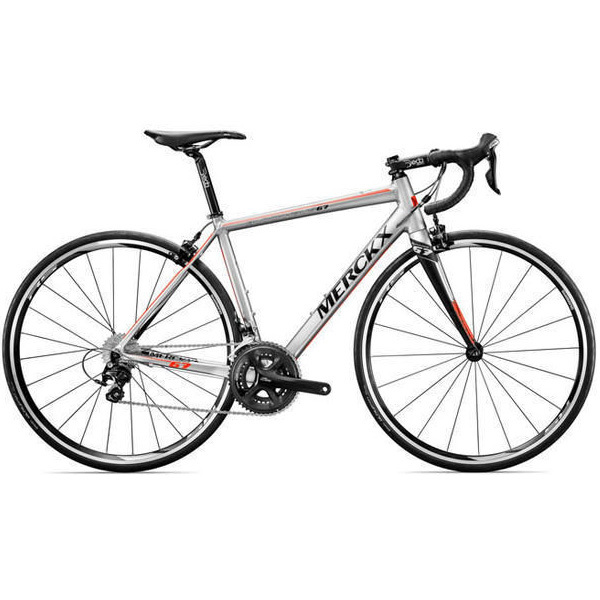 The Eddy Merckx Blockhaus 67 road bike is made from super-light (1,150 grams) aluminium and is matched with a light, compliant carbon fork weighing only 360 grams. Eddy Merckx Cycles has a rich history as an aluminum frame builder and recognises the benefits of a simple, lightweight modern alloy frame. With aluminium enjoying somewhat of a resurgence over the last few seasons thanks to its stiff, responsive properties and more affordable pricing the Blockhaus reinforces this trend with a really competitive bike at a great price. 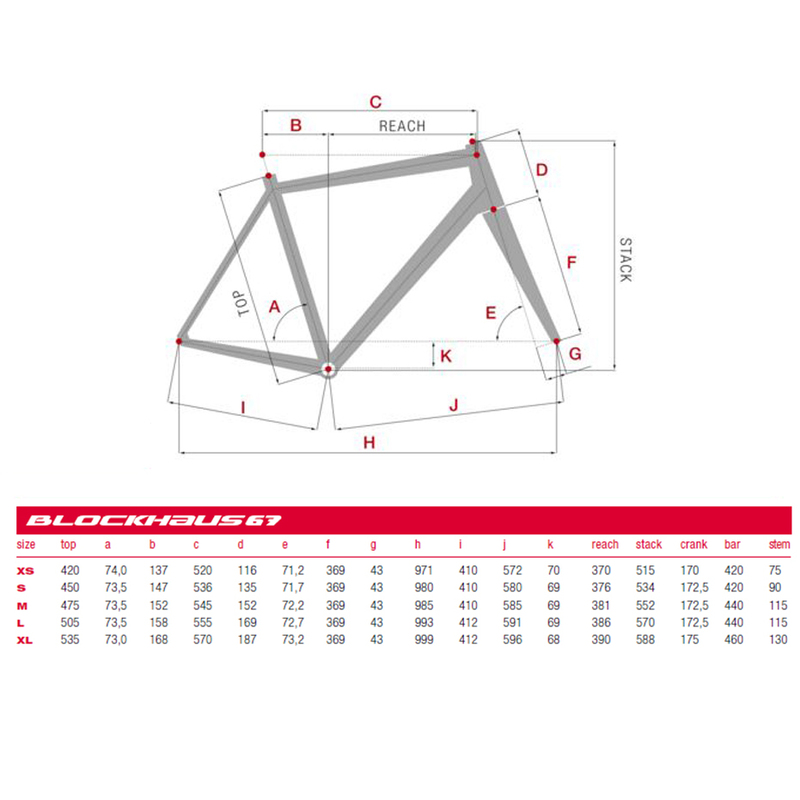 The Blockhaus 67 truly combines outstanding stiffness-to-weight values with great comfort and compliance thanks to its carbon fork and rider-friendly geometry. Perfect for longer, hilly rides it makes a capable lightweight climber that also stands up to hard knocks at your local crit race. The Eddy Merckx Blockhaus 67 features an Eddy Merckx Alloy 6069 TB frame with clean internal gear cable routing in the down tube, a super-light & compliant Eddy Merckx Carbon Monocoque fork and a very capable, precise-shifting Shimano 105 5800 11 speed groupset giving you clean, crisp and predictable gear shifting even when you’re out of the saddle. A durable, responsive Shimano RS010 wheelset and Deda components completes this value-for-money package. Great value for money. Genuinely light aluminium frame paired with super 105 group set. Fantastic introduction to road cycling- I'd buy it again and again. Rides like a dream, soaks up a lot of shocks inspite of being an alu frame. 105 shifting is quite precise. Overall, a light and nippy bike, well suited for short riders (I'm 5'6"). Stock wheels are strong and dependable, though a better wheel set would definitely improve speed. Overall finishing is very fine. 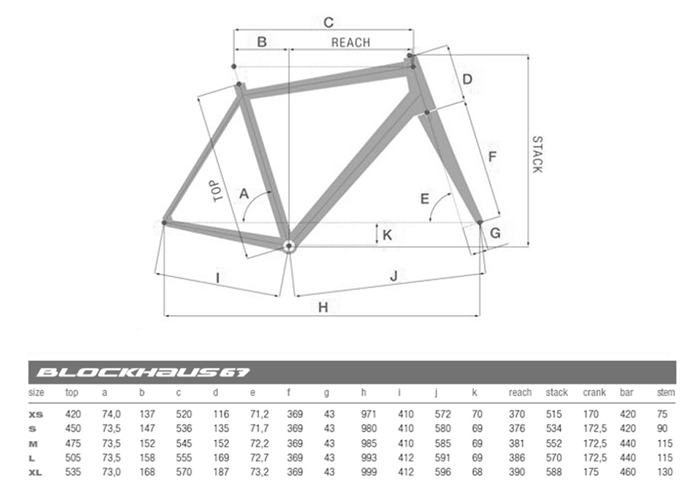 Only downside is the sizing: I use XS (roughly 52cm): the frame is small so a lot seat post needs to show to get leg length right. The bike looks great, the finish is excellent I've only been out once for a 50 miler but it felt great, be careful on sizing and do a little research, merlin cycles were great and helpful. Thank you. Over the moon, very comfortable over rough road surface, goes like stink up hill down dale. Very light.